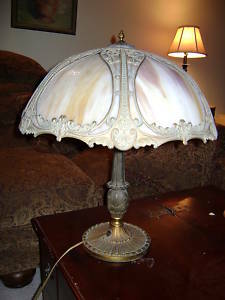 This Tiffany style lamp looks great from this angle, but one of the slag panes in the back is broken. Nonetheless still old and beautiful. Purchased at the Goodwill for $29 and sold for $275.00.